In 4E 201, a veteran of the Great War recounts that "Their fires lit up the night. All across Lake Rumare. Like stars come to earth. It was beautiful, really." 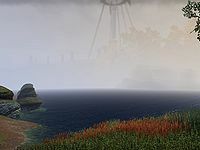 No further details are given as to precisely what this means, but it can be inferred that the Thalmor may have launched some sort of naval attack on the city. This page was last modified on 18 April 2017, at 17:20.